States expect institutions to obtain authorization in a state before enrolling students, advertising, marketing, or performing other regulated activities in their state. In compliance with this requirement, Life University is currently granting admission in a distance education program to those students who reside in a state in which Life University is fully authorized. The University participates with NC-SARA and is fully authorized to offer distance education in the GREEN states including the territory of Puerto Rico. 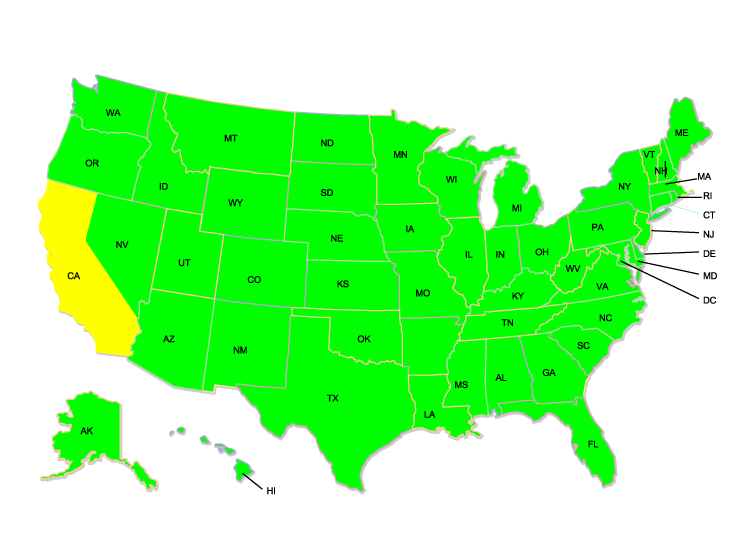 The YELLOW states reflect the states which currently do not participate with NC-SARA. However Life University is authorized to offer distance education under the rules of those states by exemption. Click here to view all resources for Online students. To learn more about state authorization for distance education, visit the Cooperative for Educational Technologies (WCET) web site.